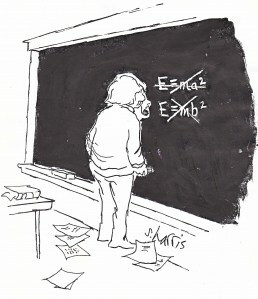 In the book The Philosophy of Cosmology, Barrow remarks that Einstein used the term “biggest blunder” or something similar for something completely different (perhaps the Manhattan Project letter) which, concludes Barrow, makes it unlikely that he would have used it to describe his introduction of the cosmological constant. On the other hand, your slides are interesting. Perhaps we will never know. It is interesting historically, but not cosmologically. What annoys me is when people say “Even Einstein admitted it was a bad idea” as if this were some sort of evidence that lambda must be zero. The laws of nature are independent of the winding roads we have travelled to discover them. Based on your second sentence, I assume that “the same argument” means the one that it is irrelevant scientifically, not the one made by Barrow. I’ve reviewed The Philosophy of Cosmology. Sigh. They all look really interesting. I have a lot of teaching, so I only generally go to 1-2 conferences a year now, and only if I’m speaking. That said, the Texas symposium is at a good time – are you speaking? I also go to only 2 a year or so. I used to go to 5 or 6. However, it is rarely the case now that there are more than 2 I want to go to. I don’t think that the total number of conferences has decreased, probably just the number which interest me, and that probably because things have become more specialized. They do all look really interesting! Note that the Texas Symposium is a week later in the year than is normally the case, so the winner of the Nobel Prize can attend without having to miss going to Stockholm (or, more probably, wouldn’t have to miss the Texas Symposium in order to collect his prize.) The one in Aachen is only three days. Why do you go only if you are speaking? Sounds interesting Cormac. I’ve been doing some serious digging into the history of physics, see for example http://physicsdetective.com/quantum-electrodynamics-in-the-1920s/. There’s some amazing stuff in the old papers. Talking of papers, I’ve read most of the Einstein digital papers, and the big thing for me isn’t his greatest blunder, it’s his variable speed of light. I wish you’d cover it and give it some publicity.